Why New Yorkers flee for Florida…. MP: Actually, the table above displays 14 different reasons why individuals and companies are leaving New York for Florida. 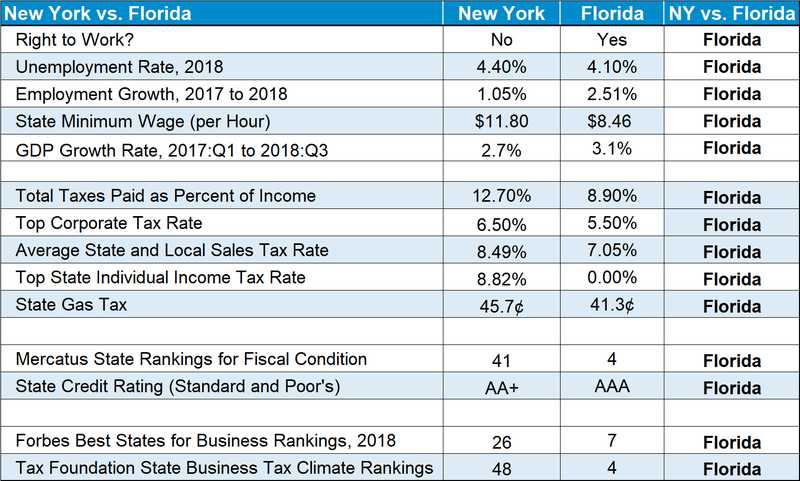 On a variety of more than a dozen measures of economic growth, business friendliness, labor market vitality, tax burdens and state fiscal conditions, Florida comes out ahead of New York on every single measure. In other words, Florida 14, New York 0.